The ACLU and four LGBT legal groups are asking a federal appeals court to allow a gay South Dakota man convicted of murder in 1993 to present new evidence showing that anti-gay bias may have motivated the jury to sentence him to death instead of life in prison. Charles Russell Rhines, 62, has been held on death row in the South Dakota State Penitentiary for 25 years since his conviction and sentencing for the March 1992 stabbing death of a 22-year-old male employee at a Rapid City donut shop. The Eighth Circuit U.S. Court of Appeals on Sept. 7 denied a motion filed by Rhines’ lawyers asking for a “certificate of appealability” that would allow him to present evidence of juror bias. The lawyers plan to file a second motion urging the court to reconsider the request, according to Ethan Rice, an attorney with Lambda Legal, one of the LGBT groups working on the case. The other groups joining the ACLU in providing legal help for Rhines include GLBTQ Legal Advocates and Defenders, the National Center for Lesbian Rights, and the National LGBT Bar Association. The latest motion by Rhines’ lawyers came three months after the U.S. Supreme Court turned down a separate request they filed in the form of a petition asking the high court to take on Rhines’ case seeking to have his death sentence overturned on constitutional grounds of juror bias. 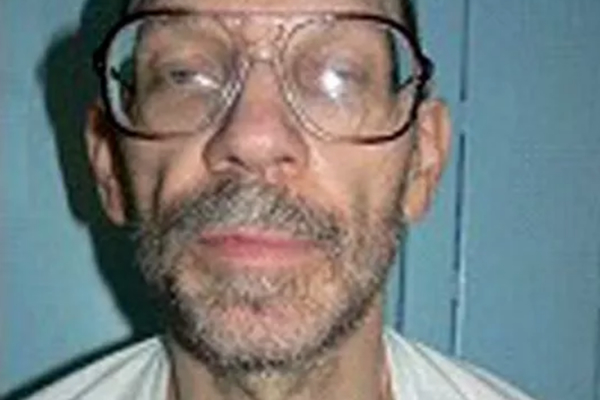 Similar to many U.S. death sentence cases, Rhines’ execution has been placed on hold for 25 years while his lawyers have filed multiple appeals in state and federal courts on a wide range of legal grounds. His current defense team says strong evidence of possible juror bias due to Rhines’ sexual orientation did not surface until last year, when his lawyers tracked down several of the jurors years after the trial. Some of the jurors signed sworn affidavits saying they considered during their deliberations at the trial in the sentencing phase of the case that as a gay man, sentencing Rhines to life in an all-male prison would be “sending him where he wants to go,” his lawyers stated in a court brief. “One juror recalled that, during deliberations, there was ‘a lot of disgust’ about the fact that Mr. Rhines was gay,” the Amicus court brief says. “Another said that jurors knew Mr. Rhines was gay and ‘thought that he shouldn’t be able to spend his life with men in prison,’” the brief continues. “Our judicial system has safeguards to prevent bias based on sexual orientation,” said Ria Tabacco Mar, senior staff attorney for the ACLU LGBT & HIV Project in a statement. “Those safeguards failed for Mr. Rhines,” she said. Court records show the murder committed by Rhines had nothing to do with his sexual orientation or the sexual orientation of the victim, who was straight. However, during his trial prosecutors disclosed that a young male witness who provided information to police linking Rhines to the donut shop at the time of the murder had been in a relationship with Rhines. Pennington County, S.D., State’s Attorney Mark Vargo, who was one of the prosecutors during Rhines’ 1993 murder trial, told the Washington Blade this week that prosecutors did all they could to downplay Rhines’ sexual orientation at the trial. But he said prosecutors were required under court procedures to disclose the nature of the witness’s relationship with Rhines. Vargo said Rhines’ defense attorneys arranged for Rhines’ sister to testify at the sentencing phase of the trial that Rhines “had a rough time as a teenager because he was gay.” He said that testimony clearly alerted the jury to Rhines’ sexual orientation. Attorney Shawn Nolan, a federal public defender who is part of Rhines’ current defense team, told the Blade that once Rhines’ defense lawyers learned in advance of the trial that prosecutors planned to disclose the nature of the witness and Rhines’ relationship during the trial, they had to ask each of the potential jurors about their views on homosexuality during the jury selection process. “They had to do that to try to make sure the jurors would be as impartial as possible,” Nolan said. Nolan noted that the defense attorneys at the trial arranged for Rhines’ sister to testify about Rhines’ experience growing up gay in response to the prosecution’s raising the issue of Rhines’ relationship with the young male witness. According to police testimony at Rhines’ trial, the employee at the donut shop that Rhines was charged with fatally stabbing arrived at the shop while Rhines was burglarizing it after it had closed for the day. Co-workers later found the employee, Donnivan Schaeffer, bound in a storeroom suffering from fatal stab wounds that law enforcement witnesses told the jury were inflicted by Rhines with a hunting knife to prevent the employee from identifying him as the burglar. Vargo, the State’s Attorney who served as one of the prosecutors during the trial, called the murder a “brutal act” that shattered the lives of the victim’s family and fiancé. Vargo strongly disputes the defense lawyers’ current claims that the jury sentenced Rhines to death because of his sexual orientation. “The idea that his conviction and sentence were based on anything other than the horrific acts that he committed I believe is ludicrous,” Vargo said in an interview with a Rapid City TV news station. Defense lawyer Nolan said that if the Eighth Circuit Court of Appeals once again denies the defense team’s motion for overturning Rhines’ death sentence the attorneys will take the case back to the U.S. Supreme Court. He said the attorneys would argue that a recent high court decision overturning a conviction on grounds of jurors’ racial bias is applicable to Rhines’ sexual orientation bias case.